Match pistol photo courtesy Clark Custom Guns. The nation’s top pistoleros are headed to Missouri this month to compete in the 2017 NRA Bianchi Cup, the most prestigious action pistol match of the year. The 2017 Bianchi Cup event, also known as the National Action Pistol Championship, will be held May 24-27, 2017 in Columbia, Missouri at the Green Valley Rifle & Pistol Club. The format will be changed slightly for the 2017 NRA Bianchi Cup. The Multi-Gun Aggregate has been reinstated on Tuesday, May 23; signup for the Aggregate will be online only, capped at 44 competitors. The Championship consists of a “Match X” and the “Championship Final”. Each round is the aggregate of the four (4) following fired events: Practical, Barricade, Falling Plate and Moving Target Events. Match X will be conducted over 3 days, Wednesday, 24 May through Friday, 26 May 2017. CLICK HERE for official Program Guide. 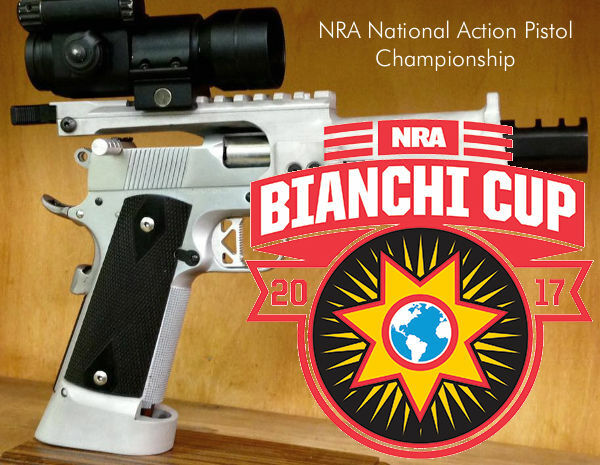 Send questions to bianchicup@nrahq.org or call 703-267-1452 for the NRA Bianchi Cup Coordinator. 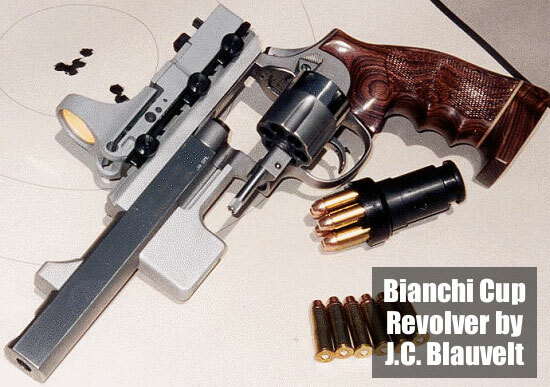 Share the post "Bianchi Cup — NRA National Action Pistol Championship"